Before the court can divide property in divorce -- including retirement accounts and pensions -- it must first categorize it. This means it must distinguish between separate and marital property. Marital property is property either spouse acquired during the marriage and is considered the joint property of both spouses. Homes and vehicles are common examples. Property acquired before the marriage or during the marriage by inheritance or gift is typically considered the separate property of the spouse who acquired it. Delaware courts only have authority to divide marital property in divorce. Therefore, the court will only divide the portions of a pension that were earned during the marriage. After the court identifies the spouses' marital property, it will begin the process of dividing it between the parties. Like the majority of states, Delaware follows the equitable distribution method of property division. Under this plan, property is divided between spouses in a manner that is fair and just, though not necessarily equal, after evaluating a set of factors set forth in state law. These factors include the length of the marriage; the spouses' age, health, income and employability; the debts and liabilities of each spouse; and the contributions each spouse made to the marriage, including as homemaker. The court is likely to deal with pensions last. This is because one of the factors the court will consider is the value of all property awarded to each spouse. In Delaware, courts typically divide pensions according to the "Cooper formula," which takes into account both the length of the marriage and the length of employment. If the court decides your spouse is entitled to a share of your pension, it will execute a qualified domestic relations order, or QDRO. This document establishes your spouse's right to a share of your pension and authorizes the plan administrator to make the distribution. Without it, the plan administrator will not release the funds to your spouse. If the pension is a military one, the court will not issue a QDRO. Instead, the judge will draft a court order outlining the property award in compliance with the Servicemembers' Civil Relief Act and Uniformed Services Former Spouses’ Protection Act. The order is then delivered to the Defense Finance and Accounting Service along with a completed DD 2243 form, which authorizes DFAS to pay a portion of the servicemember's pension to the non-participant spouse. Pension plans typically pay a certain benefit amount upon the retirement of the participant spouse. Even if the court awards your spouse a portion of your pension, the timing of payout depends largely on what type of pension you have. For example, with 401(k) accounts, payments may be made immediately after a QDRO is approved and processed. 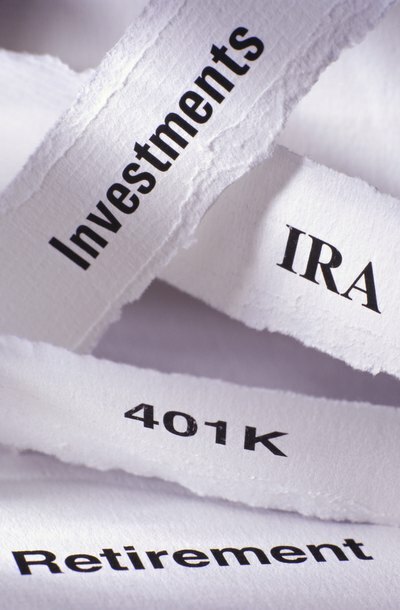 Typically, funds are rolled into the non-participant spouse's separate retirement account. Since the payout is pursuant to a QDRO, there are no tax penalties. With other types of pensions, such as defined benefit plans, the non-participant spouse cannot receive payment until the participant spouse retires or reaches retirement age.